I will admit, the character that today’s interviewee may have come around just a bit too late for me to truly understand, but it is a truly fascinating character nonetheless. A true phenomenon, to say the least. A phenomenon that was as commonly known in the 90’s, and has a legacy that lives on today. That character my dear readers….is Barney. Yes, THAT Barney. 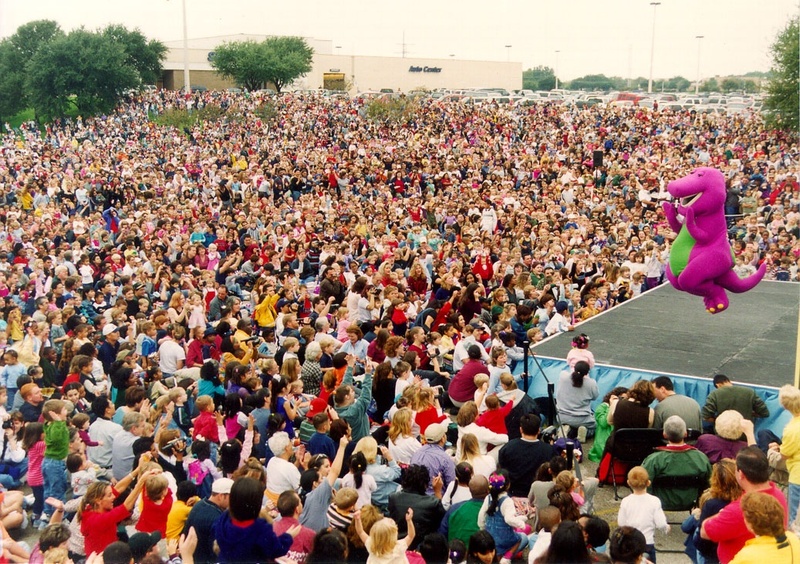 The big purple dinosaur who touched the hearts of millions, literally MILLIONS, of children during the run of television show Barney and Friends, and the subsequent videos and live performances that would simultaneously take over the living rooms and minds of young children all over the world. And today’s interview subject was the man who brought it all to life. David Joyner is an accomplished actor in his own right, with roles that don’t require him to wear a giant mask (as you can tell in the photo above, he’s a good looking dude, and should be proud to show the world that mug!). But, a huge portion of his life was spent as the actual life behind one of the biggest phenomenons in the world of not only children’s entertainment, but the world of entertainment as a whole. Without David, there was no Barney. So, I was extremely excited to talk to him about it! And I will be damned if he didn’t have some absolutely amazing stories to tell about his time as Barney, and also gave us some insight on what he is doing now. He gave some amazing responses, and I want to dive into them right away! 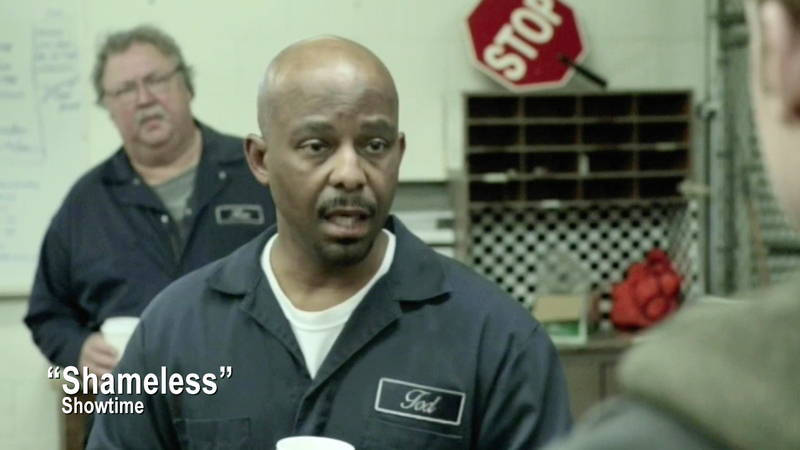 So ladies and gentlemen, the brilliant actor, David Joyner! As an obvious expert, what was it like working with child actors for all of those years. Is the old saying I have heard, “Never work with kids or animals”, a truth or just ridiculous? I’m sure some people have had some bad experiences working with kids, but I can truly say, I absolutely love it. Kids are great to work with. I also worked as an Acting Coach for 9 years to kids from the ages of 3 ½ to 18. I believe the difference is the fact that when you’re working on a show for kids, about the love of kids, it’s a more wonderful experience than working on an adult set and kids are involved in the production. When did you first discover your love for acting? When did you realize this was what you wanted to do with your life? When I was in kindergarten, I was told I had a knack for making people love. I’ve always enjoyed being in front of the crowd, Public Speaking, or just entertaining people. When I was around 7 years old, I wanted to be on TV so bad, I would stand in front of the television, lip sync and act out whatever was going on in the TV show. Only God knew that would be apart of my training to be a costume character. I also starting playing the drums when I was 10 years old. I’m a very good left handed drummer. Growing up, I had many passions. Dancing, singing, drums, sports (football, basketball, track & field), entertainment, acting, modeling, girls, and electronics. I was offered a 2 year track scholarship for the Triple Jump, but turned it down. I told my parents I didn’t want to waste money on a 4 year degree, because I knew I was going to become an Entertainer. So I went to ITT Technical Institute and got an Associates Degree in Electronic Engineering Technology, and massage school to become a licensed Massage Therapist. 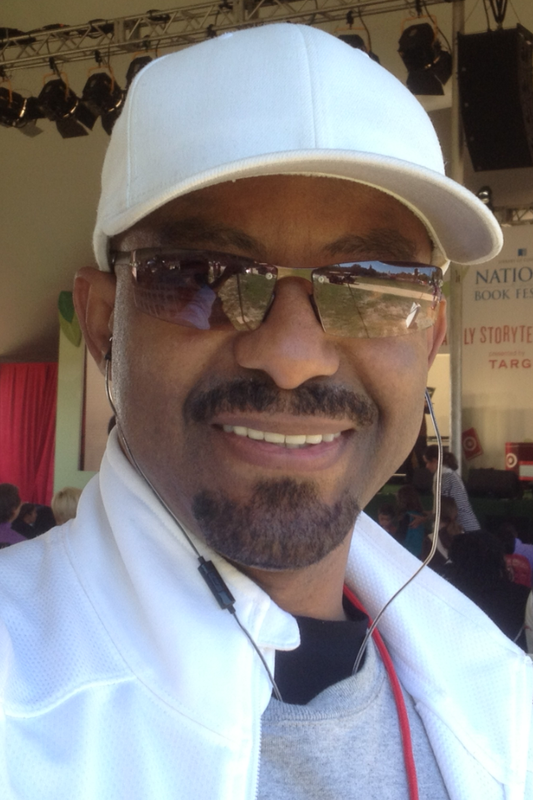 After graduating from ITT Tech with honors, I was offered a job with Texas Instruments in Dallas, TX. When they asked me what my long-term goal was, I told them I wanted to work their for at least 5 years, then quit to pursue my career in entertainment full-time. Of course they didn’t believe me at the time. 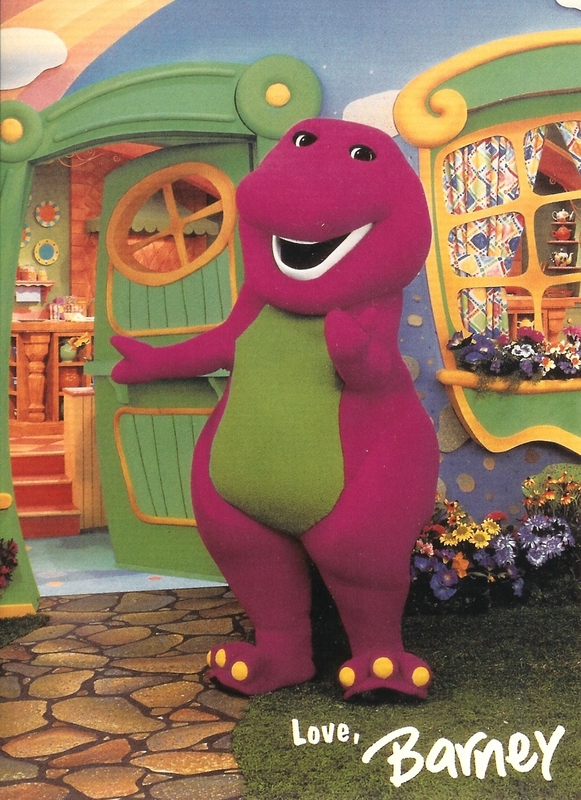 I resigned from Texas Intruments on September 28, 1990, after working there for 6 years, December, 1990 is when I had my 1st audition for Barney. 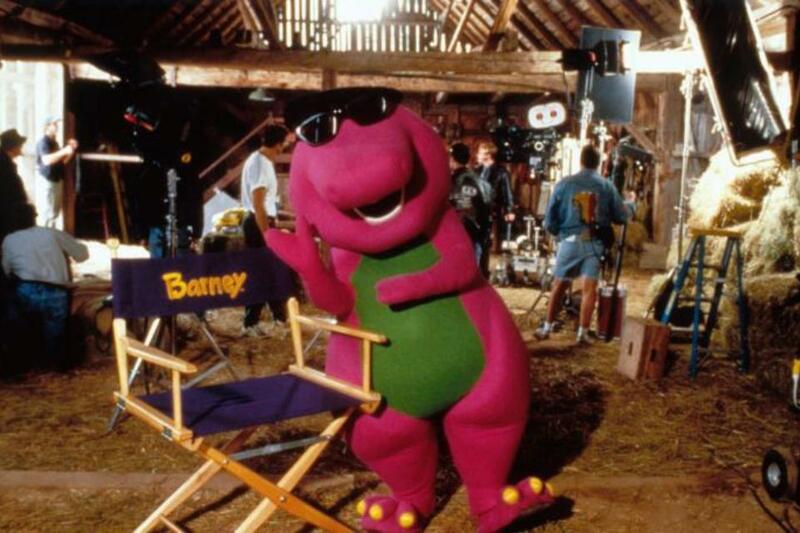 I’m fascinated with your work as Barney for all of those years. Mostly because you spent so much time and energy in your craft bringing joy and love to children across the world. So, what was it like to see a child with a Barney shirt on, and you walk right past them, and they don’t know that you are a huge part of what brought them so much joy for so long? Once I was able to adjust to the fact that I wouldn’t be known for what I was helping to create, It became more of an art form to me. It was if God sat me down and said, “I’m going to use all of the many talents I have given you to help bring love & joy to many children’s lives.” At that point, it became an honor to be Barney. I traveled all over the world spreading love & joy and made a lot of money doing it. What a lot of people don’t know about me is that I started studying White Lotus Tantra when I was 19 years old. White Lotus Tantra is all about pulling in God’s Divine Sacred love from the universe through Spirit, Mind and Body, and sharing it. The foundation is Tantra is love. Everything grows through love, heals through love and evolves through love. Because your sexual energy is also your life energy and your light energy, it’s very important to allow that energy to be in harmony with your spiritual energy. Therefore creating a true space of (Spirit, Mind and Body) within. When you’re able to create that true space within, then you’re able to radiant that Divine loving energy throughout. Children are more spiritually connected than adults, so I knew if I was going to be apart of this Special Purple Character, I knew I was going to have to connect with children on a higher spiritual level. So what I would do every time before I would get into costume is take about 30 minutes or so to meditate and pray. I would ask God to allow his Divine, Sacred energy to flow through me and through the costume, and let that Divine energy draw the children in. It never failed. And let me tell you, when you’re able to witness that type of feeling from my perspective, I must say, it is pretty darn AMAZING!!! Sometimes I will be in the grocery store or at the mall, and a little toddler will start staring at me. Then I would look at them and say, “You know don’t you? You know who I am, don’t you?” Of course, sometimes the parents what ask, Who are you? And I would kindly say, I am the Purple One that your child loves. What an awesome feeling. And for a question you probably are sick of answering, but I have to ask…..What was it like inside of those damn suit? How much hydrating is required to be Barney or Hip Hop Harry? The costume weighs about 70 lbs and it could get up to 120 degrees inside. I had to kept my Mind, Body and Spirit in peak condition. I would train really hard. I ‘d lift weights. Do sprint workouts at the track in the heat of the day. I would drive around in 80-90 degree weather with the heat on in my car. To control Barney’s mouth, I would wrap a sponge around a bar attached to the bottom jaw. I would then bite on the sponge to grip it in my mouth and nod my head up and down. So imagine every syllable being a nod. Now when the mouth is closed, I’m not able to see anything, so what I would do is practice being blind. I also trained my senses to be more acute. Through my massage training and reiki training, I am able to feel energy form things without touching them. I was a live mannequin and I would stand in store windows at the malls and move mechanically. Because I would make my movements very precise, it helped me when I was costume. I was able to pick up props or set things down without looking at them. I was able to walk/dance up and down stairs without the need to look down. I was able to jump up and do a 360 degree jump without knocking things or people over on set. And the list goes on. After my first year of taping the show I took a vacation. A Christmas cruise to the Bahamas. The ship left out of Orlando. When the ship returned to Orland, I met up with the family from Dallas who ran the acting school I was coaching at, the Dallas Young Actors Studio and Performance Center. Owned and operated my Linda Seto. They were vacationing at Disney World. What a great discover I made that day. As I was walking the theme park, I found myself being drawn to the movements of the walk-about characters. How they interacted with the children, their subtle movements and mannerisms. I studied everything I could about them. It was great and I learned some great stuff. I also learned some things I never wanted to do as Barney. I noticed they all needed a helper to help guide them as they walked around. And they could only stay in costume for 20 minutes. Well, I made sure I would never need someone to help me get around in costume and I never wanted to limit myself from being able to stay in costume for as long as I wanted or needed. Because of that, I trained even harder. I remember being in Scotland for some Barney appearances and I was asked to walk in one of their major parades. A 2-mile walk. And the last 800 meters going up hill. Not only was I able to walk the parade without any problems, I found myself running from side to side giving hugs, giving high fives, blowing kisses to the fans, dancing, jumping up and down. Doing bell kicks and 360s. It was amazing. I also remember one year doing a 5 hour Mari Gras Parade in New Orleans. It was very hot and very humid that day. The temperature was a record high that day. But I was determined not to let that get in the way of me having an awesome day. I had the best time. It was truly AWESOME!!! In more recent years, you have managed to appear on some of my personal favorite shows out there, from Shameless to Veep in some great roles! What is it like walking onto a set of such an established show like these, or Southland, or one of the MANY others, and attempting to leave your own mark on the program? Is there a lot of pressure involved? It’s an absolute blast to be casted on some amazing shows. I learned a very important technique years ago. And I use to teach this to the kids at the acting school. I would say, “It’s one thing to book the job, it’s another thing to be asked back.” Sometimes to shoot another episode not originally in the contract. Number one, it’s important to be prepared. Number two, it’s very important to be humble. Number three, it’s important to know that you are not the star of the show, but that you are a star. Make it a point to show up on set very early. I even ask if it’s possible to come a couple of hours earlier to be a fly on the wall, so I can observe the set. I want to see how the Director is interacting and communicating with the other actors and with the crew. I want to study the harmonious dance the DP is having with the camera and the actors. Seeing how everything is clicking so when it’s my time to get on set and deliver, I am one with everything going on. Total harmony. In my spirit, I’m already apart of the family. So I just blend right in as if I’ve been acting on the show for years. I have a Career Concept I say everyday that harmonizing with my spirit. That describes me to a tee. 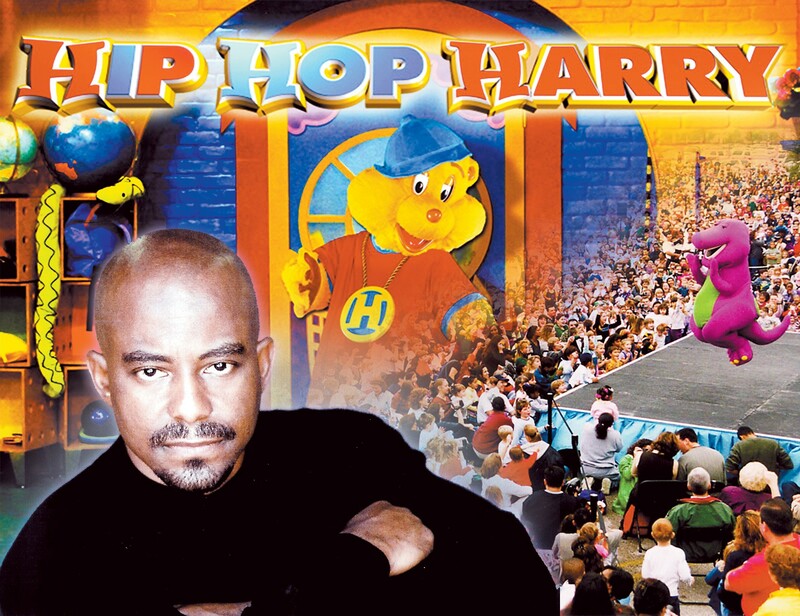 Besides Co-starring on some amazing shows as myself, I also doing another children’s character, Hip Hop Harry, Hip Hop Harry is a hip hop rapping, break dancing teddy bear who runs an after school center for kids, called Hip Hop Central. Harry using rap as a teaching tool to help kids learn different values in life. We were on Discovery Kids & TLC for 4 years. You can now find Hip Hop Harry has episodes and music videos on his YouTube channels, English, Spanish, Brazil. And our NEW Hip Hop Harry Toy Review Channel. He can also find him on many of the social media platforms. Plus several episodes and music videos can be found the PlayKids mobile app. Even though I smile a whole lot. I mean, a lot. I would honestly have to say, reviewing these answers to your great questions. David Joynaz TRULY an AMAZING SPIRIT of LOVE!